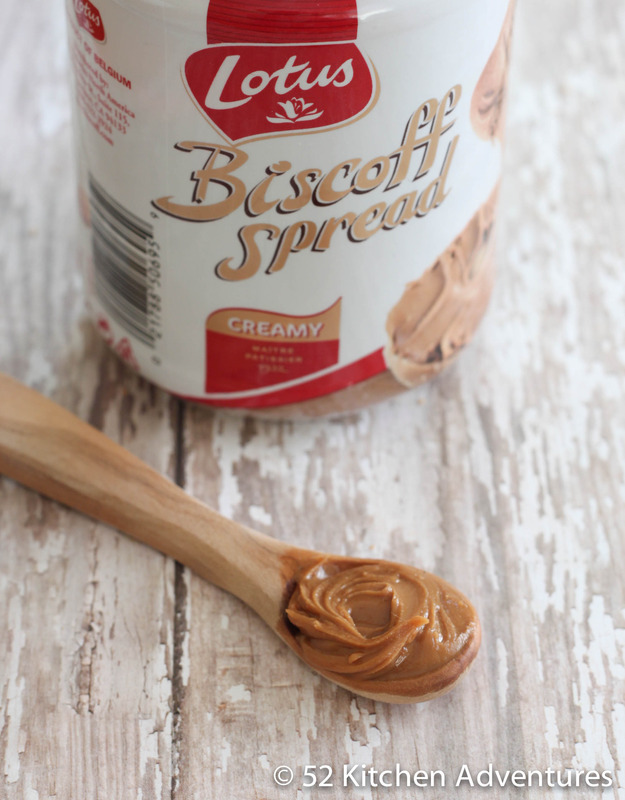 I’ve been hearing about Biscoff Spread on other food blogs for years. A creamy spread (like peanut butter) made out of cookies – this stuff sounded dangerous. I kept putting off buying it because I just knew i wouldn’t be able to stop eating it. I finally caved in last week and yeah…the jar is gone. I think Russ tried a small spoonful. So let’s just blame him and not my insatiable cravings for this stuff. 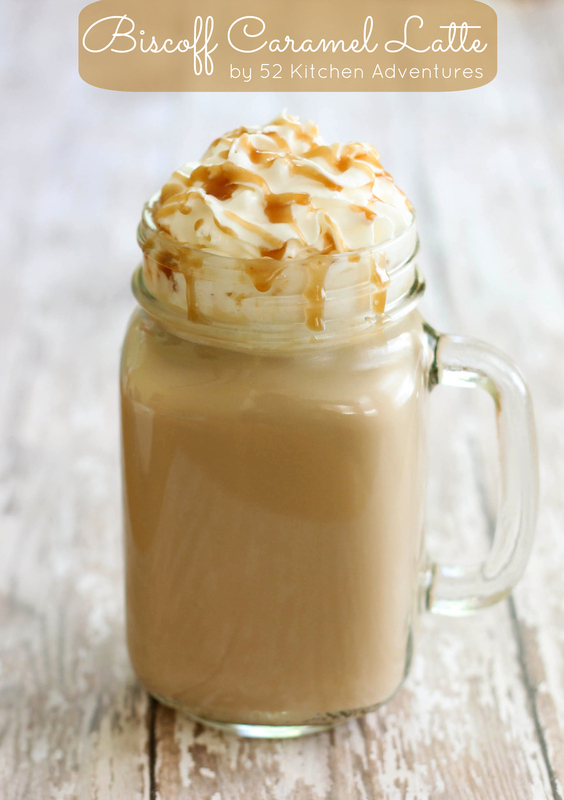 While you can definitely enjoy this spread straight from the jar (ahem, like me), or spread on toast or apples, I created a very easy coffee drink that is just as irresistible as the spread itself. 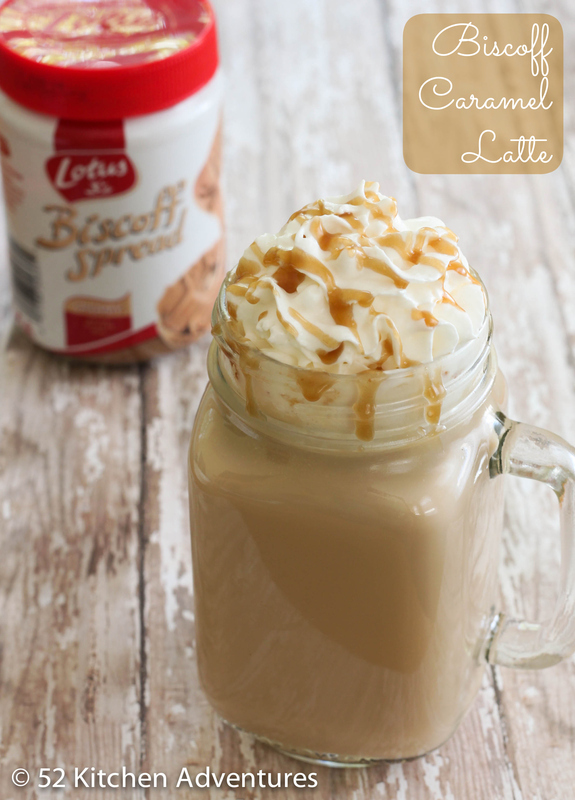 Take a spoonful of Biscoff, a spoonful of my easy 7 minute caramel sauce, and add it to your coffee/espresso and milk for a creamy, spiced and sweet latte. If you want to win a free jar of Biscoff to try, you’re in luck – all you have to do check out their Spread the Love photo contest. Everyone who votes gets entered to win an entire YEAR of free products from Lotus Bakeries, and you can also try out their instant win game to instantly win a jar of Biscoff and other products. Place Biscoff, caramel, and milk in a small sauce pan over low heat. Stir occasionally until everything is well combined and heated to preferred temperature. In the meantime, prepare your coffee or espresso. Pour coffee or espresso into saucepan and stir together. Serve immediately.